New Delhi: Lok Sabha TV has explained that a "technical glitch" caused an unprecedented blackout of Parliament proceedings in the period today that the lower house hurriedly discussed and passed the controversial legislation that creates a Telangana state by bifurcating Andhra Pradesh. The BJP's Sushma Swaraj, Leader of Opposition in the Lok Sabha, has tweeted, "They say that the blackout of Lok Sabha was due to a 'technical glitch'. No. It was a tactical glitch." 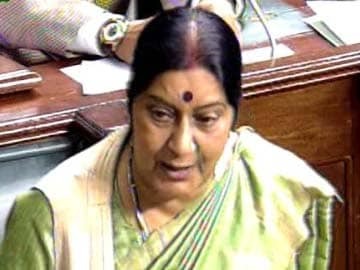 She also said, "We strongly condemn the blackout of the proceedings of Lok Sabha. It was done without our knowledge." BJP chief Rajnath Singh said, "The manner in which the bill was pushed through by the government was not transparent and utterly undemocratic." "There was a problem that is why we could not telecast proceedings." said Speaker Meira Kumar. The blackout, never seen since 1996 when live telecast of Parliament proceedings began, has been called the "murder of democracy" by angry lawmakers. Trinamool Congress MP Dinesh Trivedi walked out of the House and said, "Today democracy has come to a standstill." His party is livid that a division of votes that it sought was not allowed. The Janata Dal United staged a walkout. The Left has called it "match fixing between the BJP and the Congress" to "undemocratically" pass a crucial bill that divides a state without adequate debate. The BJP's lack of protest at the blackout and the way the bill was passed amid slogan-shouting has been questioned. The party had earlier said it would not debate and help pass the bill in din. BJP leaders said they realised that telecast had been stopped only when Ms Swaraj was speaking. She stopped speaking, but was seen signalling to members not to rise. Ms Swaraj later said, "We have always supported the bill, we would have helped pass it anyway. But we oppose the game the Congress played to pass it." 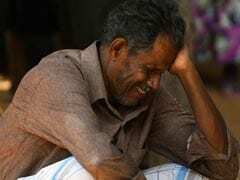 Senior ministers Like Sushil Kumar Shinde and Salman Khurshid refused comment on the blackout.